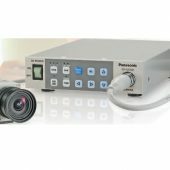 The 7245C Digital Video Recording Module for Swallowing offers professional-quality digital video and audio for recording and playback. The module includes a patient database with user-definable fields, and a large-capacity exam management system for easy retrieval of exams. The 7245C Digital Video Recording Module was engineered specifically to optimize exam viewing. 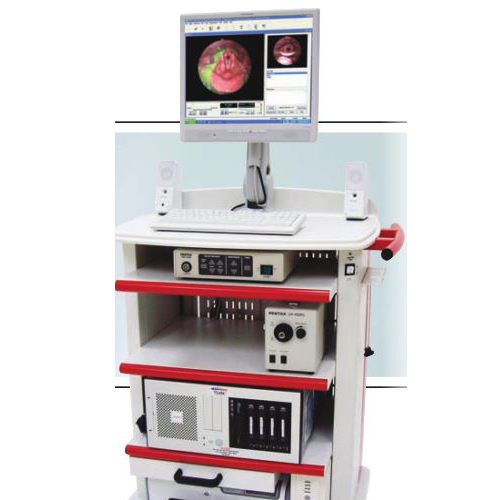 Advanced features include slow-motion and frame-by-frame playback of procedure recordings and a side-by-side display of two exams to compare pre- and post-intervention results. The 7245C features removable hard drives with large storage capacity for exam records. 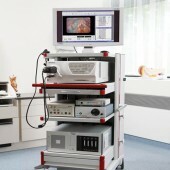 The 7245C PENTAX Medical Digital Video Recording Module includes an exam management system for easy retrieval of patient records. The system also generates automated reports with still images to summarize key exam findings and supports clinical efficiency for today’s busy ENT practices.